Samsung GALAXY Ace Plus was announced in January and now, it is available finally in India. 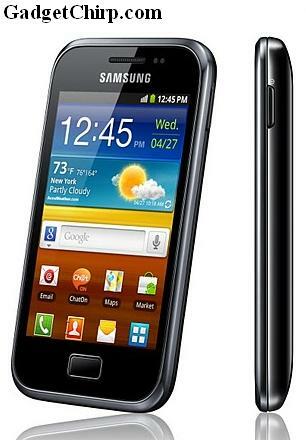 Samsung GALAXY Ace Plus is an Android 2.3 Gingerbread smartphone, having 5MP Auto Focus Camera and 1GHz processor. The price of Samsung GALAXY Ace Plus is Rs. 18,150 and it comes with a free Samsung BHM1000 Bluetooth headset as an introductory offer. Samsung was heavily criticized for the design of GALAXY Ace Plus which is inspired from the iPhone 3GS. Let's see how this phone is going to perform in the market. 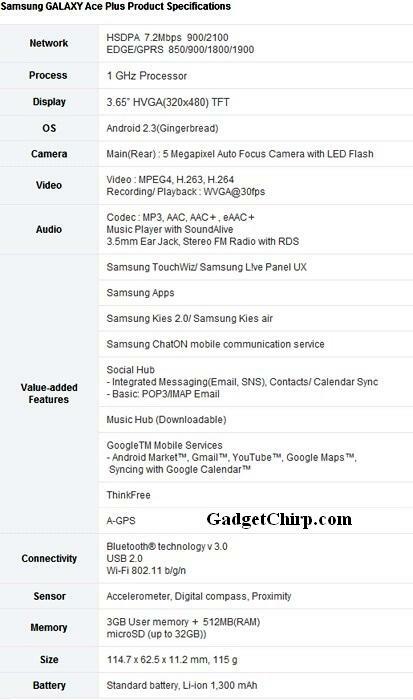 The full specs ad features of the Samsung GALAXY Ace Plus are given below.